George Friend scored an own goal to put Derby in front before Jayden Bogle put past his own goalkeeper late on. Highlights of the Sky Bet Championship match between Middlesbrough and Derby. 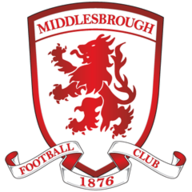 Jayden Bogle's late own goal sent Middlesbrough to the top of the Sky Bet Championship - for a few hours at least - as they battled back to draw 1-1 with Derby on Saturday. The Rams had taken the lead themselves in the first half through an own goal, as George Friend turned the ball into his own net, but Frank Lampard's side were denied the chance to go top themselves by the unfortunate moment for 18-year-old Bogle. It was Boro's first goal at the Riverside Stadium in four games but Tony Pulis's side were knocked off the summit by Sheffield United after the afternoon kick-offs. 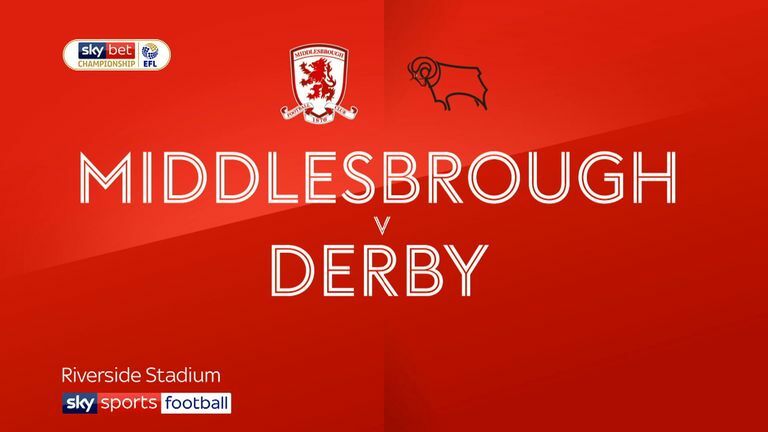 Middlesbrough made one change as Dael Fry came in for Martin Braithwaite, while Derby were unchanged. Derby had raced into leads against the Blades and West Brom in the past week and got off to an equally bright start as they pressed and harried Boro early on, eventually breaking the deadlock after 19 minutes. Scott Malone won the ball back in a dangerous area before whipping a fine ball into the far post from the left, which Friend inadvertently turned into the bottom corner of his own goal. 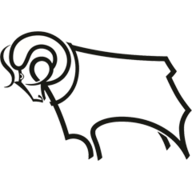 Moments later Derby should have had a second, only for Tom Lawrence and Jack Marriott to be denied by Darren Randolph in quick succession, before Harry Wilson's strike hit the post and cannoned just wide off the Boro goalkeeper's back. Boro pushed forward in the second half but never really looked likely to break Derby down, failing to have a single shot on target. In fact, the best chance fell to Derby as substitute David Nugent found himself free in the box in the 80th minute, but he could only hit his effort straight at the goalkeeper. But the Rams would not hold on for a third big win this week as Boro launched a high ball into the box after 84 minutes and Bogle, in an attempt to clear, contrived to shin it past Scott Carson. A rock at the back for Derby who helped deny Middlesbrough a shot on target for themselves the entire game, Tomori deserved a clean sheet and is gradually developing into one of the best young centre-backs in the Championship. Tony Pulis: "In the first half we started really, really poor, really on the back foot. We did some work this week about getting up to the ball and we started really on the back foot. We got really sloppy and it just gave them the momentum. Randolph has kept us in the game and at 1-0 you've always got an opportunity and a chance. Second half, the game wasn't as fluid but we ground it out. "We worked very, very hard. The lads had a right go and I've been involved in games when we've played exceptionally well and lost and played exceptionally well and not won a game, so today we haven't played that well but we've ground out a point." Frank Lampard: "We should have the game in the first half really, we played outstandingly well, the only thing short in our game in the first half was the two or three goals it warranted. And the fact is when you are 1-0 up at Middlesbrough you know it's the most dangerous scoreline because they will go even more direct to try and get back in the game and I thought we dealt with that brilliantly too. "People were throwing bodies on the line and it was just unfortunate really that it goes in at the end. It's a bit of a freak goal. They will say they had some opportunities but the clear opportunities were ours in the game." Both sides are in Carabao Cup fourth-round action on Wednesday night. Derby face a big trip to Lampard's old club Chelsea, which is live on Sky Sports Football, while Middlesbrough welcome Crystal Palace to the Riverside Stadium.